RIM has announced that it has settled a legal dispute with Samsung over its alleged infringement of the Blackberry trademark. 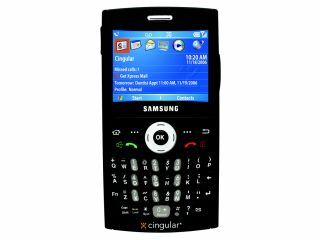 RIM, which is responsible for the massively successful Blackberry smartphone, claimed that Samsung's own BlackJack device was "misleading the public into falsely believing that Samsung's goods and services are connected with RIM's business." In a statement, RIM said it was, "very pleased to have reached a mutually beneficial settlement agreement that includes immediate provisions for the protection of RIM's valuable trademarks." The two companies have agreed to keep details of the agreement under wraps, but the deal involves restrictions on how Samsung can use the BlackJack trademark. The main purpose of the deal was to take certain reasonable measures to avoid confusion in the marketplace, and RIM says that these steps have been taken to satisfactory levels. Samsung has confirmed that it will continue selling its BlackJack phone, which will retain its name, and reiterated RIM's statement that full details of the settlement would not be disclosed to the public.